The fall boat show circuit is getting underway, with our hometown Newport International Boat Show in less than a month, so we're getting pretty pumped to hop aboard and talk shop about the loads of boats on display. Last week we posted our Dockwa Boaters' Top 5 Most Popular Sailboats, so this week we've crunched the numbers again for the most popular powerboat makes among our discerning & tech-savvy crowd. That's the summary! Boating magazines, blogs, and freelance writers will be at boat shows in the next few months sharing their expert (and amateur) opinions on the thousands of boats they bring in each year, so stay tuned as we head to #NIBS2016, #ABS2016 and more to scope them out. Below, read more about the Top 5 Powerboats on Dockwa. 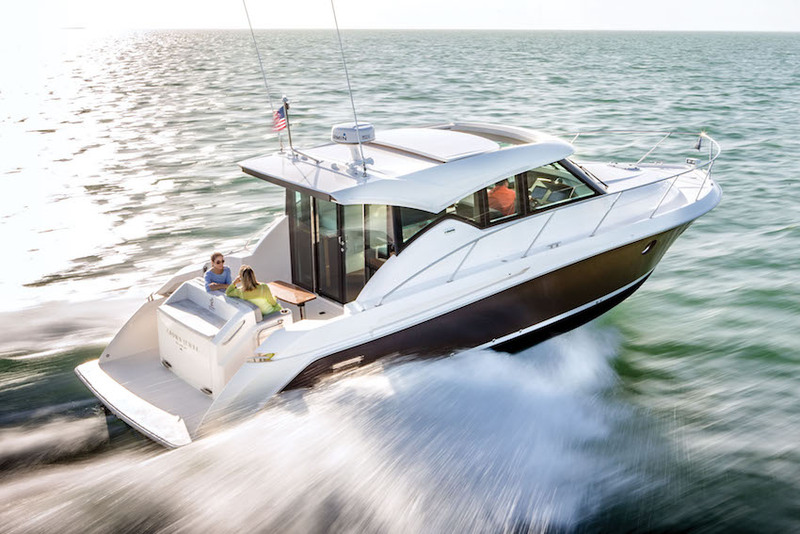 "Underway, Sea Ray’s Quiet Ride technology, a system of acoustic insulation, vibration-dampening materials and careful design choices, kept noise levels to 80 decibels at an economical 28 mph cruise, never drowning out the guests." Matching form and function, Tiara's boat building history began in 1955, after one of the co-founders left his position at Chris-Craft. 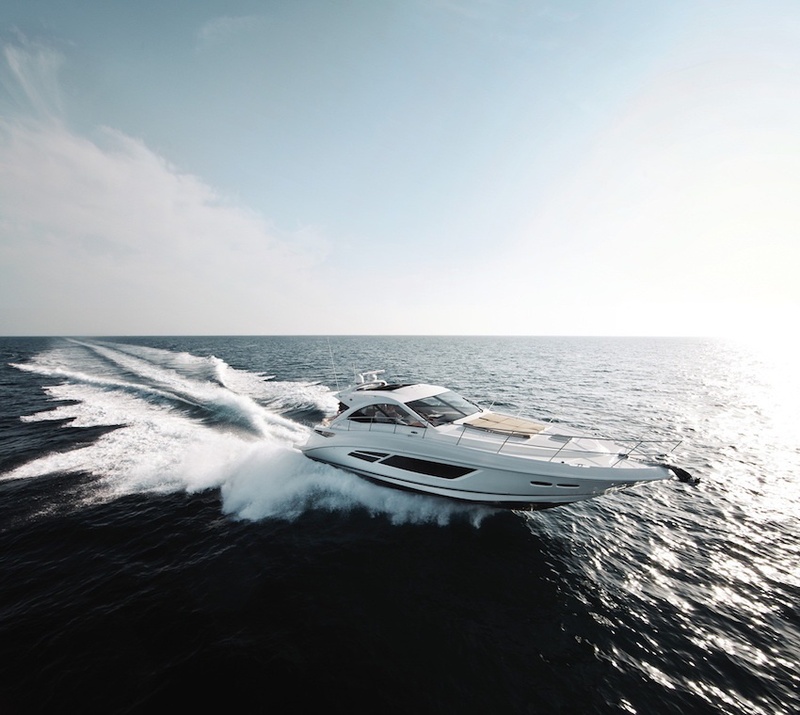 The influence remains, as you can see in the 2016 Tiara 39 Coupe, pictured above. According to Tom Serio in Sea Magazine, "The 39 did not disappoint. Expect 11.5 mph at 2000 rpm, 30 mph at 3000 rpm and 40 mph at WOT, 3625 rpm. Additionally, it was a very quiet ride. Not bad at all." Swing by Oyster Harbors Marine at the Newport Boat Show to hop aboard this model, as well as the Tiara 31 Coronet, Tiara 44 Q, and Tiara 50 Coupe. Pictured above is the Grand Banks Eastbay 44 SX, which you can see on display at NIBS 2016 on the South Docks of Bannisters Wharf. The windows fully retract, which makes the cabin feel more like a breezy patio than a stale-aired aquarium, and the starboard on-deck galley makes for easy hosting. As for speed, Capt. Tom Serio wrote a great review in Lakeland Boating: this model has a design that "allows the hull to slice the seas, get up on plane due to the multiple strakes and maintain a stable ride thanks to the slightly downturned, large chines." Strakes and Chines, coincidentally, is what Dockwa is going to name it's first album when we finally get a band together. Pictured above is the Formula 34 Performance Cruiser, which made quite a splash in 2003. Boating nearly swooned – read their review here. 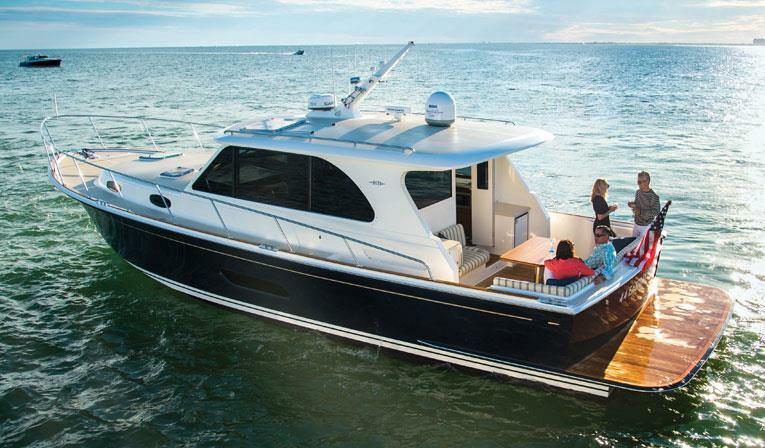 If you're in New England, try one on for size at the Newport Boat Show; this model will be on display at the Newport Yachting Center Dock S-4 E, along with the 350 Crossover Bowrider, the 37 Performance Cruiser, and the 40 Performance Cruiser. Fun, right? Pictured above is the Viking 54 Convertible, which looks sporty as all get-out and has a decade of rave reviews under its belt. We're told that Vikings will be on display at NIBS2016 thanks to Oyster Harbors Marine, but we're not sure which model. This one first came to market in 2007 – read the in-depth study in Yachting Magazine, who dubbed this model "close to perfection." What other Dockwa stats are you curious to see? Email becky@dockwa.com or comment below to share your thoughts.